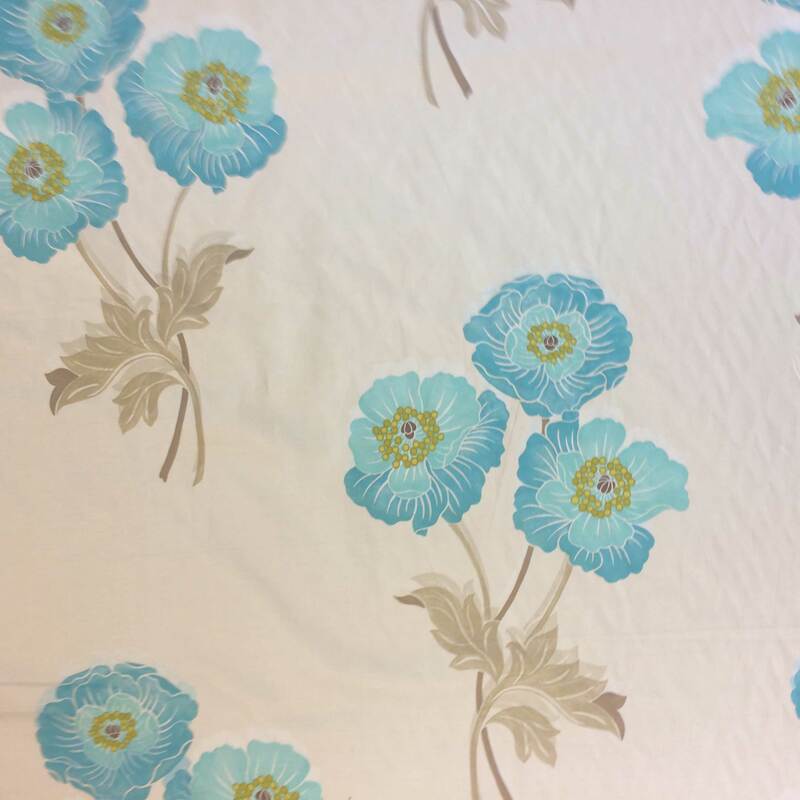 Product code: D31 Categories: Blues, Clearance, Cotton, Creams & Whites, Floral & Trees, Luxury Fabric, Short Lengths, Villa Nova. 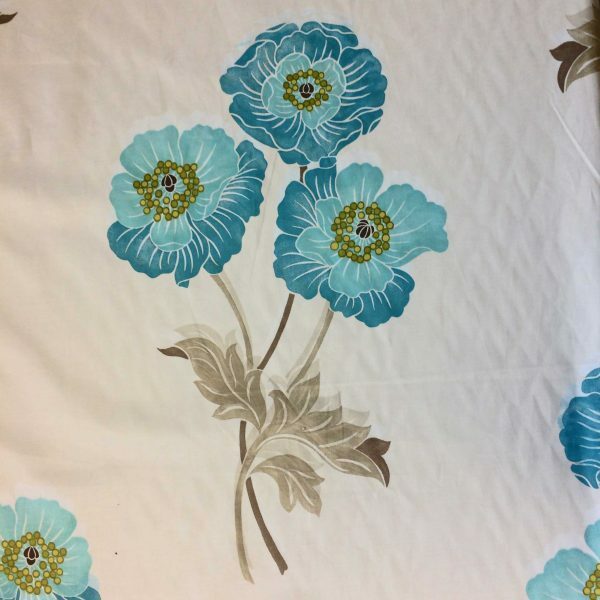 Allegra Blue by Villa Nova is a vibrant floral design. 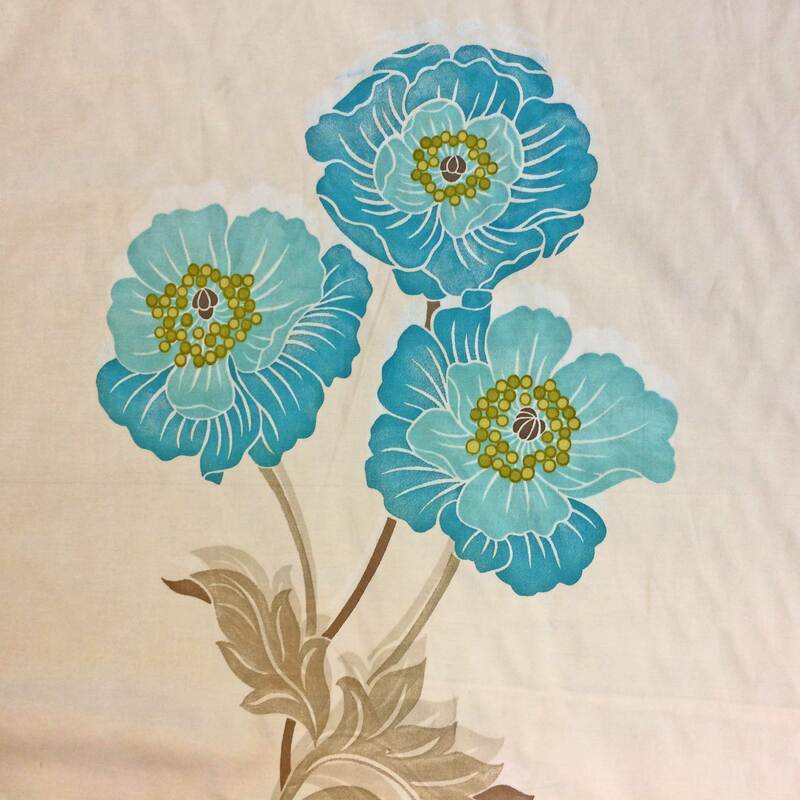 The cream fabric features trios of blue and turquoise flowers with green centres and brown stems. Overall the design is bright and modern. 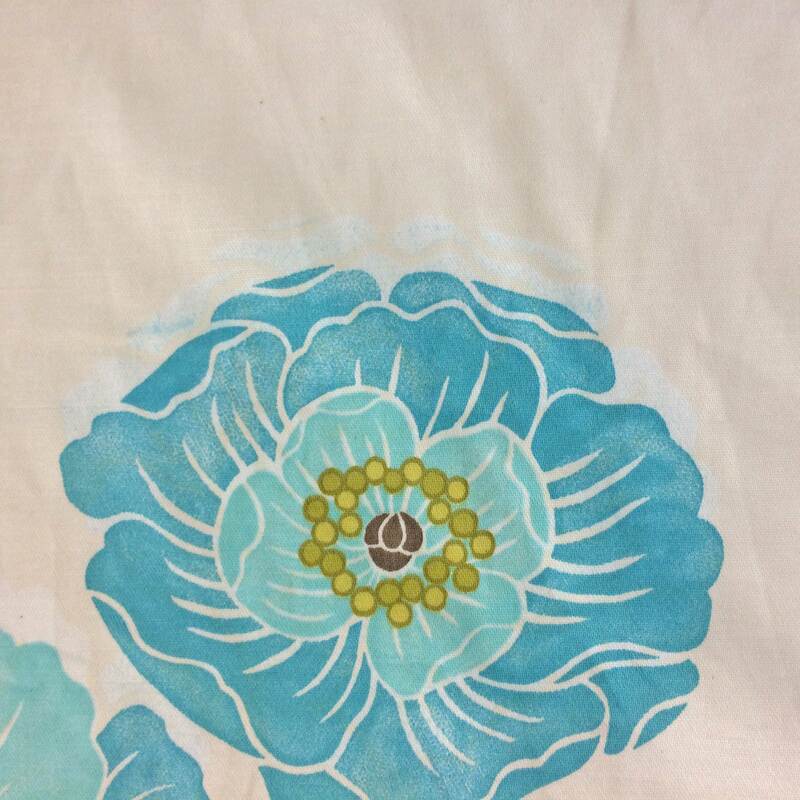 We recommend using this fabric for a bedroom blind to add a touch of colour. Due to the contemporary nature of the design, this fabric would better suit modern styled homes. This is a 100% cotton fabric that is notably soft to the touch. This composition results in a fabric that flows and hangs well. The fabric is versatile to be used for a range of home soft furnishings and craft projects. We would opt to use the fabric to make blinds due to the large pattern and available meterage. Equally, the fabric could be used to make some short curtains should measurements allow. Alternatively, some throw cushions would make good use of the fabric. The fabric measures 1.34metres in width, excluding selvedge. The floral design has a pattern repeat measuring 64centimetres. We stock our fabrics on the roll and cut fabric for customer orders as a singular continuous piece. 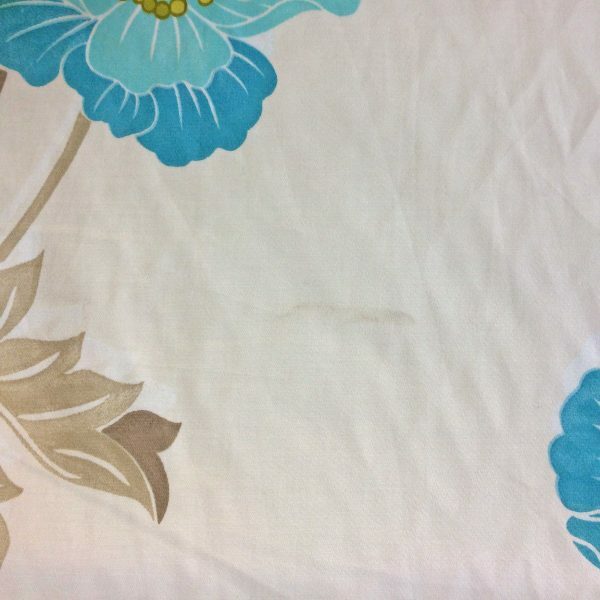 This final 3metre short length of this fabric has been reduced to clear. WAS £36.00 NOW £15.00 for the total 3metre length. There is a small mark on the fabric that could be washed off. A picture of this mark has been included in the image gallery. There is also a small printing error that can be seen on close inspection of some of the flowers, where there has been an overprint at the top of some flowers. A picture of this overprint has been included in the image gallery. As such the fabric has been priced accordingly to reflect these small imperfections. Due to the short length of this fabric please contact us should you require a free sample.